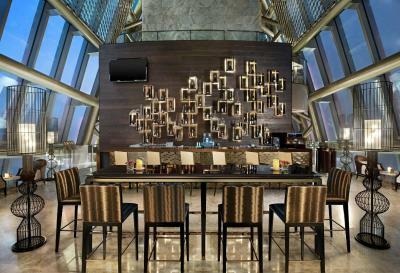 Lock in a great price for The St. Regis Shenzhen - rated 8.7 by recent guests. 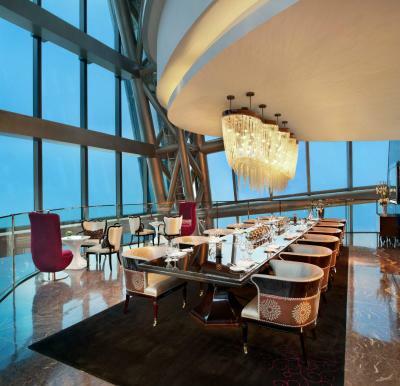 The hotel is situated at the higher levels of this 103 stories building, so it gives fantastic views of Shenzhen city, and over-looking the river divides mainland China and Hong Kong. Luxury and quality fit-outs, high tech Ipad control of in-room lights, blinds, and TV, with marble floors, hardwood furniture and beautiful, luxurious bathroom, very comfy stay. The restaurant has a great view, and staff are friendly. The floor manager was attentive once he heard our concerns that they should not cook everything on one hot pan for fresh eggs, as some people may be vegetarian, and some may not eat pork. Great pianist playing and single in the hotel bar. Amazing experience! The selection of food, the view, the friendly staff, the swimming pool and the room. The view is the best thing about this hotel as the reception is on the top of the tower, The hotel is good by China standards but could be maintained better. The gym and the spa area was both great for me. The rooms are spacy and clean. The service is brilliant. The Hotel has a relaxing and nice atmosphere. A great indoor swimming pool is located on the 75 floor, some nice bars and restaurants on the top floors. I always enjoy spending some quality time here, above the city with the spectacular views. The staff where excellent. The design and all the detail and comfort was amazing. I felt like i was in Heaven. If you book in ask for Sam the manager he is amazing and he will listen to your needs. Kahvaltı çeşitliliği mükemmeldi. Oda ve Yatak konforu süperdi. 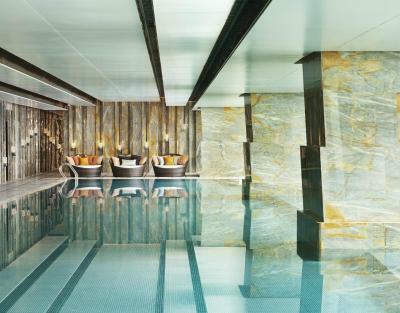 Luxury awaits at The St Regis Shenzhen with its 5 dining options, indoor heated pool and spa. 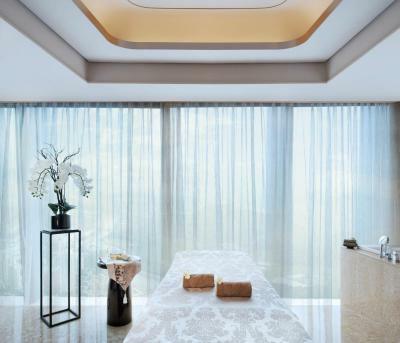 Centrally located in the Luohu business district, it offers spacious rooms with sweeping city views from its floor-to-ceiling windows. 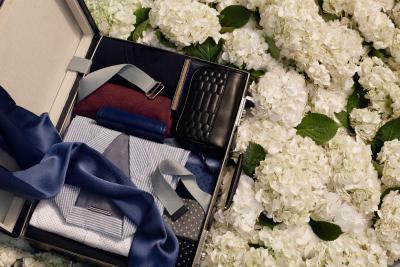 The St. Regis Butler Service is available round the clock. Located next to the hotel is the Grand Theatre Subway Station (Line 1 and 2). It is 2.4 miles to Luohu Railway Station and a 45-minute drive to Shenzhen Bao'an International Airport. 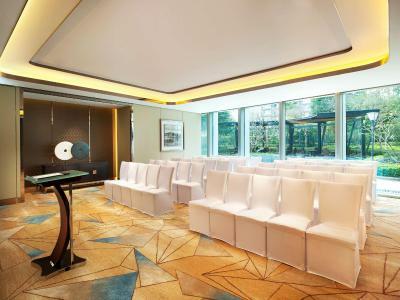 The famous OCT East Shenzhen is a 30-minute drive away while many tourist attractions like Huaqiangbei Commerical Street and Futian Checkpoint can be reached by subway in 15 minutes. Bright rooms with natural light are equipped with a 46-inch LCD TV and iPod docking station. The marble bathroom comes with a rain shower and/or bath. A hairdryer, bathrobes and slippers are provided. 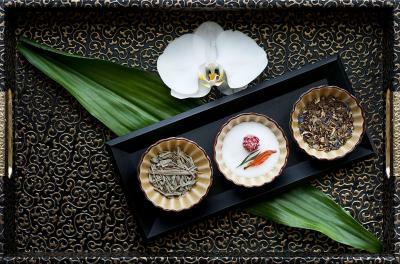 In-room massage treatments can be arranged. A variety of treatments and massage therapies can be enjoyed at the Iridium Spa. 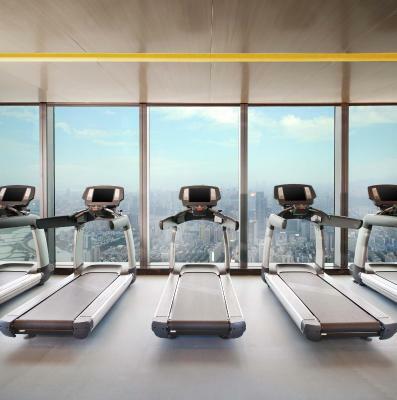 For guests looking to work-out, The St Regis offers an exercise room, aerobic classes and personal trainer. Tanning beds are available. Refreshments and beverages are available at The Drawing Room, Malt and Decanter. International dishes are served at Social, which offers all-day dining. Italian specialities can be savoured at Elba. 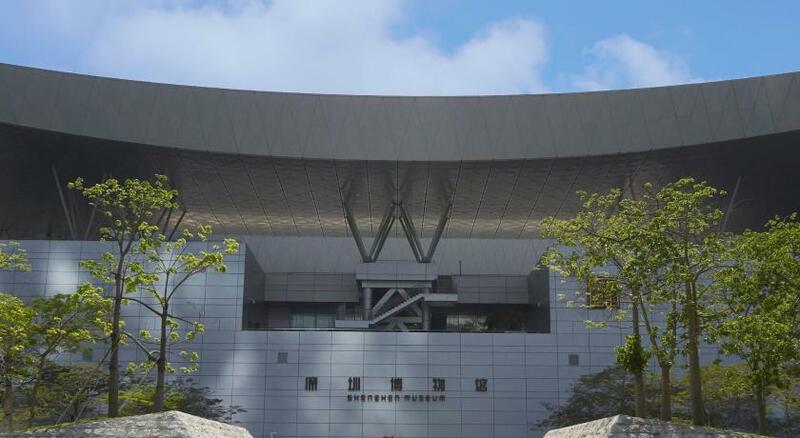 Luohu is a great choice for travellers interested in shopping for clothes, shopping and shopping for accessories. 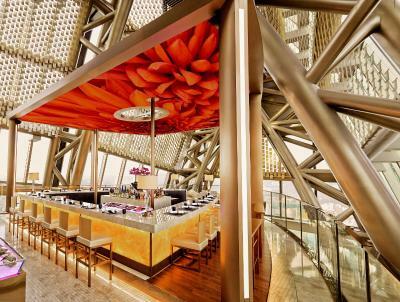 This is our guests' favourite part of Shenzhen, according to independent reviews. 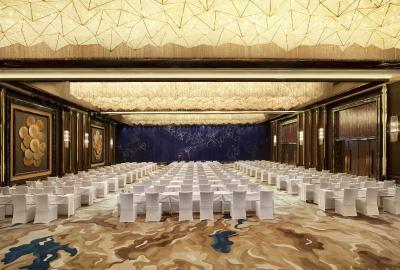 This property also has one of the best-rated locations in Shenzhen! Guests are happier about it compared to other properties in the area. This property is also rated for the best value in Shenzhen! Guests are getting more for their money when compared to other properties in this city. 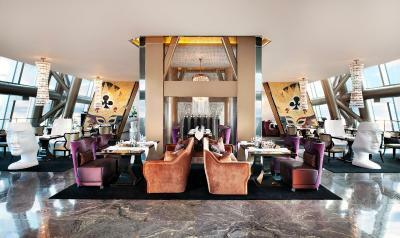 The St. Regis Shenzhen has been welcoming Booking.com guests since 27 Mar 2012. 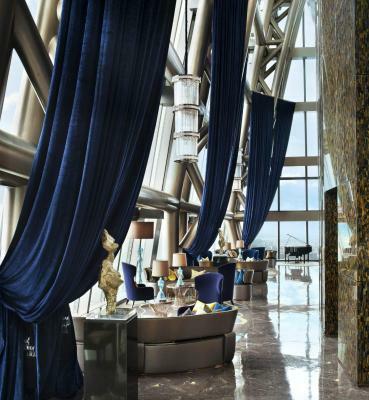 When would you like to stay at The St. Regis Shenzhen? This double room features air conditioning and iPod dock. This double room has a iPod dock and air conditioning. This double room features a flat-screen TV, iPod dock and air conditioning. This double room has air conditioning and iPod dock. This double room has a iPod dock, air conditioning and flat-screen TV. This double room features air conditioning, iPod dock and flat-screen TV. This single room has a flat-screen TV, iPod dock and air conditioning. 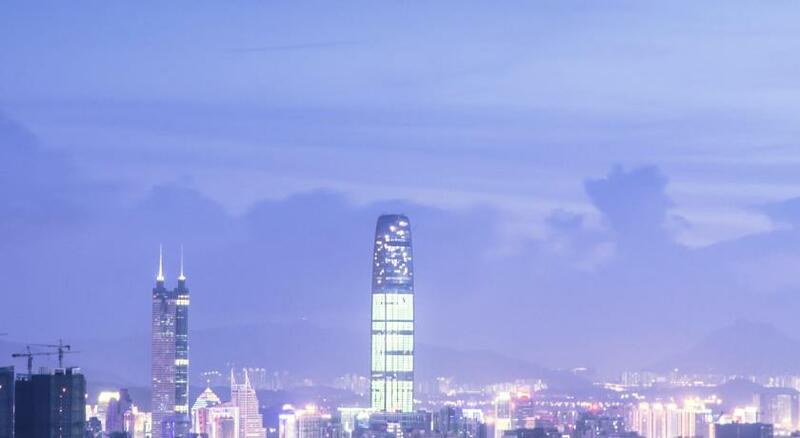 Nestled within the famed Luohu District Financial Center, whose trademark silhouette dominates the skyline of the city’s renowned Special Economic Zone, the landmark St. Regis Shenzhen is ideally positioned atop an exclusive business and shopping podium. Hotel surroundings – This neighbourhood is a great choice for travellers interested in shopping for clothes, shopping and shopping for accessories – Check location Excellent location - show map Guests loved walking around the neighbourhood! 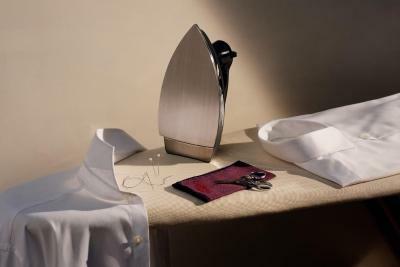 House rules The St. Regis Shenzhen takes special requests - add in the next step! Free! All children under 1 year stay free of charge for children's cots/cribs. All older children or adults are charged CNY 300 per person per night for extra beds. 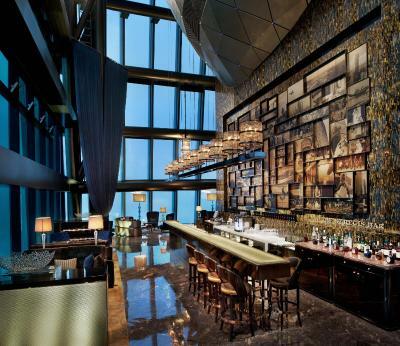 The St. Regis Shenzhen accepts these cards and reserves the right to temporarily hold an amount prior to arrival. Please note that all staying guests need to provide ID cards with the same name stated during the booking. 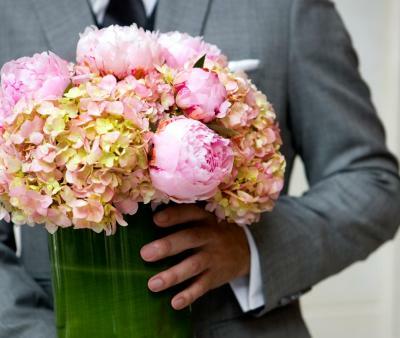 If guests book more than 1 room, all guests' names need to be put correctly as well. The precooked fried eggs were barely warm, and we were told that's how they did it here due to rush hours in the morning. The breakfast were overall ordinary in this luxury hotel. We only stayed for one night due to transit to Hong Kong to fly back to Sydney, didn't get a chance to try their spa, swimming pool (if they have one), or other facilities. Maybe next time. 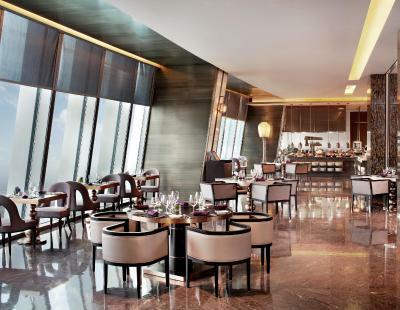 The staff is super friendly but not prepared at all to serve at a St. Regis. Service is slow and the level of the English spoken was poor. The hotel looks international, but it is not. You crash against the cultural barrier every time you interact with anyone inside the hotel. Everything- It's an amazing hotel. Not that I could think of. We came here to celebrate birthday but had booked the room very last minute. Yet the staff still managed to decorate the room in a short period of time which really surprise us. We were told to expect a birthday cake but not the room decoration, it really was a pleasant surprise. This is a hotel with every luxury you would expect. The view is breathtaking and the butler service is outstanding. Perfect night sleep with the blackout blinds. Exquisite stay! I booked an Allure suite for 2 people. I think the price is a little bit too high when considering the facilities in the room. For example, the toilet isn't the Japanese automatic style. Moreover, I think they gave me a room for 1 people since I only found one pair of slippers and one piece of welcome treat in the room. 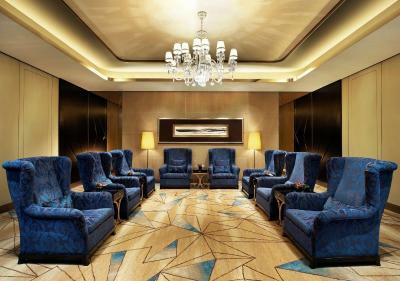 This hotel locates in one of the tallest skyscrapers in Shenzhen, and it's quite convenient to get access to the shopping centers and entertainment places which is just 2 minutes walk away. I paid to relax, not to stay in the lobby for 8 hours. ventilation is not good enough and can't be adjusted. You can't open windows and there is lack of fresh air. Wake up call - calling me 2 hours early by mistake!